Junior sized version of the World's best rugby contact suit. • Favoured by the British Lions and hundreds of discerning rugby club & school customers. • Designed & manufactured by Predator! 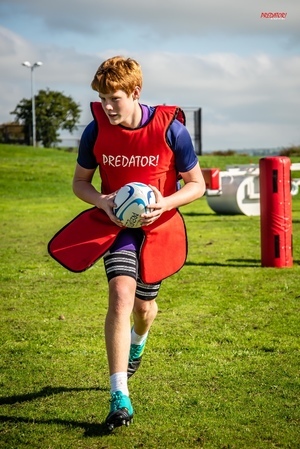 • More comfort, better protection and far longer life than all the cheap rugby body armour imitations. and by many international rugby bodies.